The official opening ceremony of the SOS Children’s Village Assomada took place in October 1984. The SOS Children's Village Assomada is located on the island of Santiago, the largest of nine inhabited Cape Verde Islands. 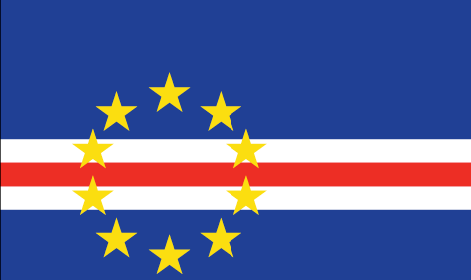 From the little town of Assomada, which lies on a plateau, it is only about 40 km to Praia, the capital of Cap Verde. To the west, one has a superb view of the mountains. A market place, a hospital and a church are quite close to the SOS Children's Village. The SOS Children's Village Assomada consists of ten family houses, a village director’s house, a house for the SOS Aunts (which care for the children in case of the SOS Mother’s absence), an administrative and service building with a small clinic, a library, a multi-purpose hall, a play and sports ground, an amphitheatre, a village kitchen for the staff, and a joinery workshop which is run by former SOS youth. The adjoined SOS Kindergarten is run in four classrooms, and is also open to local children not from the SOS Children’s Village. Some of the children are also taught through the Montessori-method. Furthermore, the SOS Kindergarten features its own kitchen and sports ground. As the SOS Kindergarten is the only Kindergarten in Assomada, the demand for places is high. From around 15 years of age, the SOS Youth is housed in the SOS Youth House. As the youth is only supervised by one educator, the life in the SOS youth village endows them with a very high degree of self-responsibility. It is therefore an important step towards an independent life, which is thoroughly monitored by SOS mothers, village directors, and psychologists, and to which approximately four years are assigned - extendable for prolonged periods of education or job search. The SOS Youth House consists of five rooms, a common room, a kitchen, two living rooms, and two dining rooms.